Aaron Rodgers and the Green Bay Packers fell just short in 2016. Can they continue to provide multiple fantasy weapons in 2017? 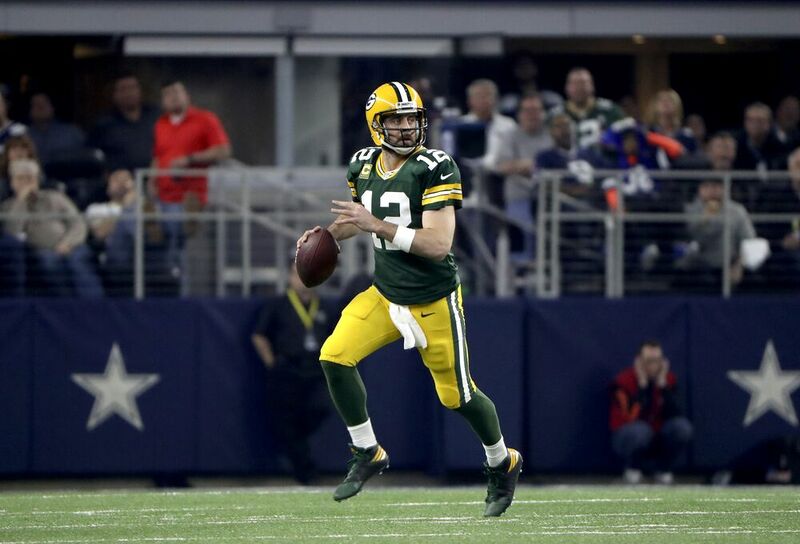 Last year, Rodgers was first in fantasy points among quarterbacks. When playing a full season, he hasn’t finished outside the top 12 since he became a full time starter. He’s the best fantasy QB in the league, and there’s no reason for that to change any time soon. He is a sure bet for another great season, but the issue is his price. While you can feel comfortable with his scores every week, investing early in a quarterback might not be the right way to build your teams. After spending his rookie campaign and the start of the 2016 season being classified as a receiver, Montgomery made the switch to running back to cover for injuries, and ended with an outstanding 5.9 yards per carry (albeit only on 77 carries). However, he wasn’t used as the team’s ‘bell cow’ back, and only had double-digit carries once in the regular season. While he’s currently the depth chart leader, I worry for his fantasy potential considering the team drafted three running backs. It’s clear they are looking for improvement at the position, and it could be at Montgomery’s expense. Williams was the earliest selection of the rookie running backs, being selected in the fourth round. Unlike Montgomery, he comes in as a productive college back who racked up over 3,900 yards and 35 touchdowns in his four-year career at Brigham Young. He fits what the Packers like to do at the position, and it shouldn’t be a surprise if he is heavily involved in the running game early. Attempt to add him in the later rounds of your drafts. Like Rodgers, Nelson is one of the best in the game. He’s the quarterback’s favorite target, and has finished in the top three among fantasy receivers in his last two seasons. His age (31) isn’t yet a factor, as he’s showed no signs of slowing down. Keep buying Jordy. In his third year, Adams finally had the breakout season we’ve been waiting for. He was just shy of 1,000 yards (997 on 75 catches), but spent a healthy amount of time in the end zone (12 touchdowns). Nelson will still be the top player on the outside, but Aaron Rodgers is capable of producing two ‘WR1s’. Adams should be a good investment for 2017. After a huge 2014 campaign, Cobb has disappointed in his last two seasons. He could only muster 610 yards and four touchdowns in 2016, disappearing into fantasy irrelevance. With Adams now in the fold, it seems difficult to imagine Cobb stealing balls away from the top two receivers, so he’s a fantasy risk. However, if he’s cheap, it’s always worth owning playmakers on a Rodgers-led offense. Bennett performed admirably in New England, with 55 receptions, 701 yards and seven touchdowns. He may not ever replicate his 2014 season with Chicago where he was a top producer, but he’s been consistent throughout his career. Expect another 50-70 catch, 555-750 yard season, with a good chance at touchdowns. He’ll be a decent fantasy tight end option. After Williams, the team also added Aaron Jones and Devante Mays in the draft. Jones could provide a spark to the backfield with his explosiveness, while Mays is a long shot. We’ll have to decipher the situation here as it happens. Green Bay always tends to have a receiver at the end of the depth chart who contributes, so it’s worth keeping eyes on rookies Malachi Dupre and DeAngelo Yancey. Richard Rodgers and Lance Kendricks aren’t worth drafting as tight ends, but will contribute if injuries occur.